Here’s the official trailer for “Pizza Man“, a movie directed by Joe Eckardt and starring Frankie Muniz, “Diamond” Dallas Page and former O-Town member, Ashley Parker Angel. The movie premiered during the 2010 Comic-Con in San Diego, CA. More info on this project here www.imdb.com/title/tt1629766. It’ll be released in 2011. Enjoy! UPDATE: You can also watch it below @Facebook. The boys of O-Town ain’t one bit happy with ex-member Ashley Parker-Angel — in fact, Erik-Michael Estrada tells TMZ, they were “really hurt” when Ashley officially bailed on the upcoming reunion. Erik expressed his disappointment in L.A. on January 19, 2011 — telling us, if Ashley really wanted to rejoin O-Town … he would have figured out a way to “multi-task” the reunion and his acting career. 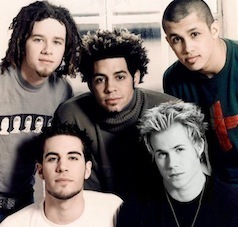 Ashley Parker-Angel tells us he was “intrigued” at the idea of reuniting with his old boy-band O-Town — but ultimately decided he couldn’t live in the past … this according to the singer’s rep. The rest of the band has already gotten back together — and is planning an upcoming concert tour sans Parker-Angel. As for Ashley, dude just finished a stint starred a couple of years ago in “Hairspray” on Broadway and his rep tells us he has a feature film coming out later this year.